See more objects with the color indianred darkslategrey dimgrey rosybrown or see all the colors for this object. This is a Card. It was graphic design by Alvin Lustig. It is dated 1938 and we acquired it in 2002. Its medium is screenprint, letterpress on heavy gray and brick red paper. It is a part of the Drawings, Prints, and Graphic Design department. 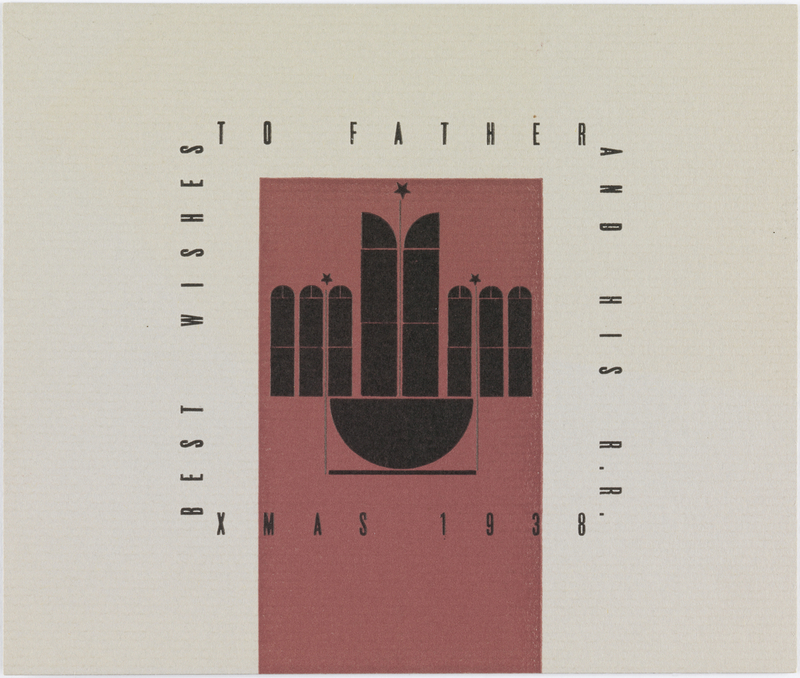 Printed in black ink, clockwise from upper center: TO FATHER/AND HIS R.R./XMAS 1938/BEST WISHES.